This entry was posted in Beryl, Brasil, Education, Gem Sources, Gemology, Gemstone Spotlight, John and Laura Ramsey, Mineralogy, Morganite, Travels for Jewelry and Gemstones and tagged Beryl, brazil, gems at large, jewelry, John and Laura Ramsey, john ramsey, laura ramsey, ramseygems, Ramseygems.com, rough gems by John and Laura. Bookmark the permalink. John and Laura, I have a 20×15 mm peach morganite loose stone that I purchased from you many years ago and absolutely love the “different” color, since all my other morganites are the pink variety (which is also lovely, of course!). I didn’t know it was possible to change the peach color to pink–very interesting! Is the peach color itself natural? Will the color change to pink with normal exposure to daylight/sunlight? Thank you so much for thoroughly answering my question, John and Laura! I’m very happy to hear the peach color is natural. 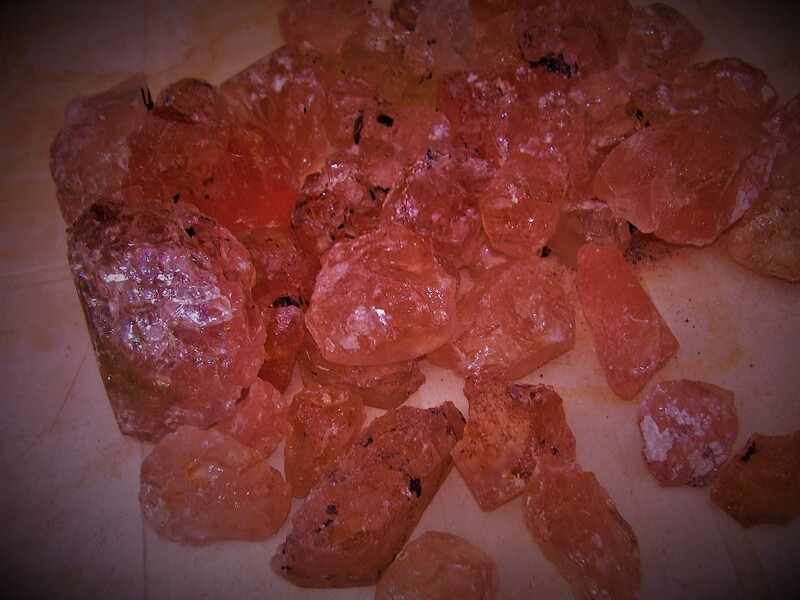 Pink or peach, morganite is a beautiful stone!